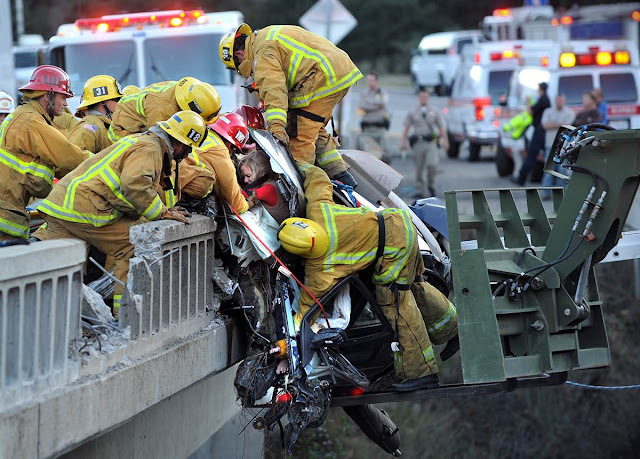 Dramatic rescue Firefighters rescue a family from a car dangling over a bridge after a fiery crash, Jan. 12, on Highway 101 near Buellton, Calif. 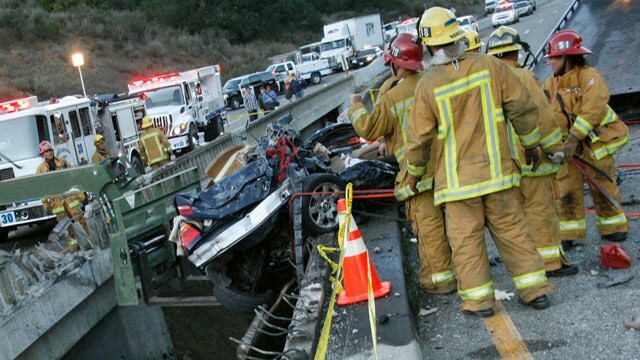 The accident claimed the life of a truck driver. A team of Navy Seabees happened to be passing by the scene, and the fire crew used a Seabees heavy forklift to stabilize the dangling car. A mother and her two daughters were taken to the hospital.